TBL Networks is proud to present guest blogger Rachel Reynolds, Executive Director at CJSTUF. Sickle cell disease is a life threatening genetic disorder that causes chronic pain, delayed growth, ulcers, jaundice, and other medical issues. Ongoing treatments are necessary and can range from dialysis, blood transfusions, medical management through steroids and pain medications, and (when possible) bone marrow transplants. While symptoms and treatment can vary across patients, it is a disease that requires lifelong management and frequent medical care. 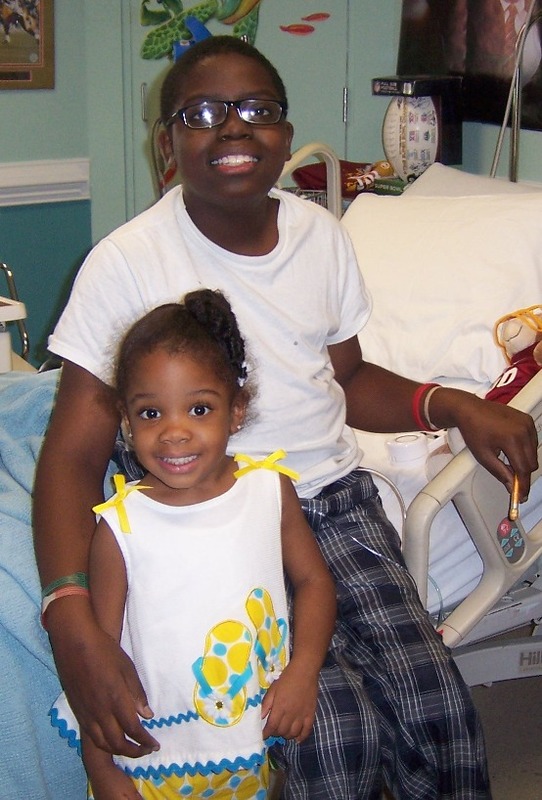 The Price Family knows the reality of Sickle Cell disease only too well. Thirteen year old Nile (one of a set of triplets) has battled the disease since birth. Last year, Nile was fortunate to receive a bone marrow transplant that has cured his sickle cell disease and placed him in remission; however, he still faces chronic health challenges on a daily basis. His four-year-old sister Olivia also has the disease. The Price family has struggled to balance their days between hospital visits and a “normal” life. They have faced the emotional, physical, and financial challenges that this disease brings to every family it impacts. Thanks to CJSTUF, the family was able to receive two Financial Assistance Grants in 2010: one for Nile and one for Olivia. The funds helped the family with their ongoing medical and household expenses. This is just one example of how CJ’s Thumbs Up Foundation helps families of children with chronic and life-threatening illnesses. We serve families where children face cancer, cystic fibrosis, leukemia, and other debilitating illnesses that require constant care. Our mission is not to find a cure or to solve all of a family’s financial problems. We make an unbearable situation a little more bearable. We do this by providing financial support to families in need served by Children’s Hospital of Richmond. In our first year as a 501(c)3, (2010) we provided almost $13,000 in support to over 30 families through our financial assistance grants, vouchers for healthy meals, and other tangible support. As a young organization in the Richmond area, we are grateful to individuals and businesses such as TBL Networks for their generous support. With the help of donors and volunteers, we can continue to provide support to families in the Richmond area and, hopefully, expand our services to cover more families around the state and even across the country. If you would like to know more about our organization, visit our website for information on how to get involved. You can also follow us on Twitter and Facebook or hook into our blog for the latest updates.